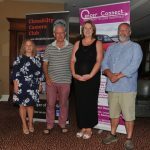 Once again the generosity and tremendous spirit of the members of the camera club came to the fore at the club’s Annual Fund Raising Exhibition held at the Celtic Ross Hotel, Rosscarbery on Friday, July 13th. 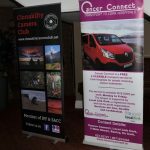 This year our chosen charity was Cancer Connect, a volunteer organisation that provides transport to Cork hospitals for people requiring treatment for cancer. 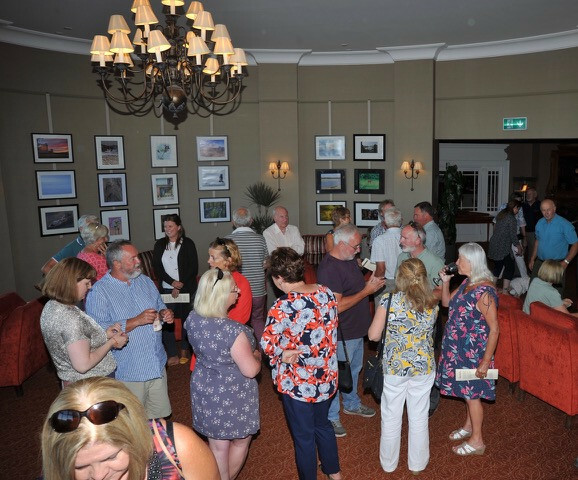 We were delighted to have representatives from Cancer Connect at the opening, including the coordinator of the organisation, Helen O’Driscoll. The exhibition was officially opened by Gearoid Wycherley, the owner/director of the Celtic Ross Hotel. 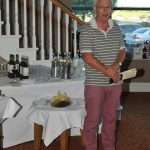 In addition to the sale of photographs at €75 each (a minimum of €50 going to the charity) a spot raffle was held. 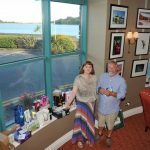 Many thanks to both members and local businesses from Clonakilty, SKibbereen and Dunmanway who generously donated prizes for the raffle. In addition our thanks to the staff of the hotel for their help in setting up the evening and to the hotel itself for providing teas and coffee on the evening. The cheese was gifted by Carbery Milk products and the grapes were donated by Noreen O’Donovan. It was a terrific night with over €400 being raised through the raffle alone. Several photos were and have since been sold. The exhibition continues until the end of August. Feel free to drop by and of course by a photograph! Details are available at the hotel reception.